Speculating about dance virtuosity is a type of reflection that can be based on experience but isn’t necessarily empirically verifiable. The aim of such speculation is to frame an ideal image of dance virtuosity by drawing on predictable economic, political and meta-humanistic changes. A characteristic feature of speculation on dance virtuosity is risk-taking in constructing radical scenarios on the politics of desire. This piece comes from a strong desire to be alone on stage, and physicalize the themes I’ve been researching for the past six years: attention, dreams and imagination. Raw Light is a tangible, physical, sensational solo journey of the body becoming. It is an elusive attempt to form a constantly shifting experience, and to allow for a flow of flickering images to emerge. It is a proximate presence of a liquid, multilayered, kaleidoscopic body that dances in raw lights between real and imagined, felt and dreamt, courageously pointing to the unseen and unknown. The tongue, the eyes and the limbs reach out for brightness. From the cut of soft tissue of time and space, a persistent trust explodes into being. 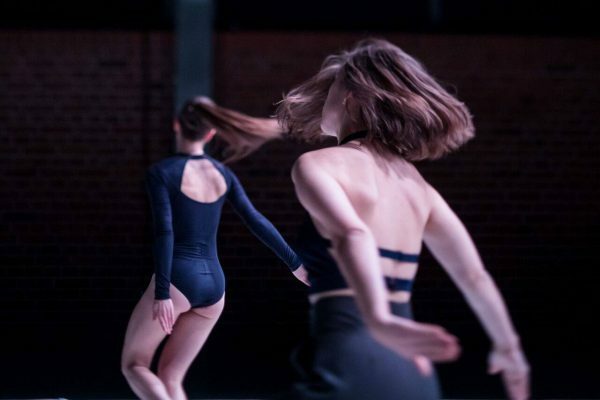 The project Moving the mirror looks at the developments in contemporary dance in Poland and Berlin, especially in relation to the process of democratization since the 1990s and the growing relationship between the two countries. 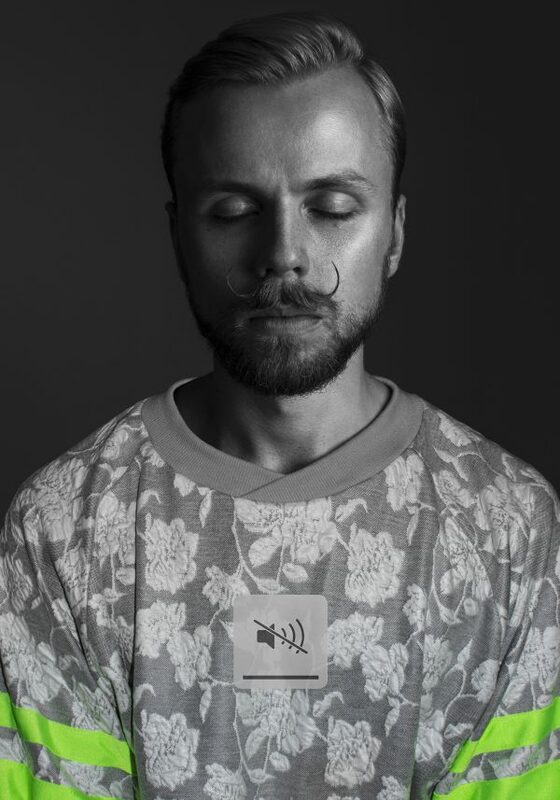 Where is the source of this energy, with which young Polish and Berlin artists initiate their projects that often have a queer/feminist, utopic and political motivation? This energy and knowledge that make them question the status quo of once established structures and develop visions to reformulate them? 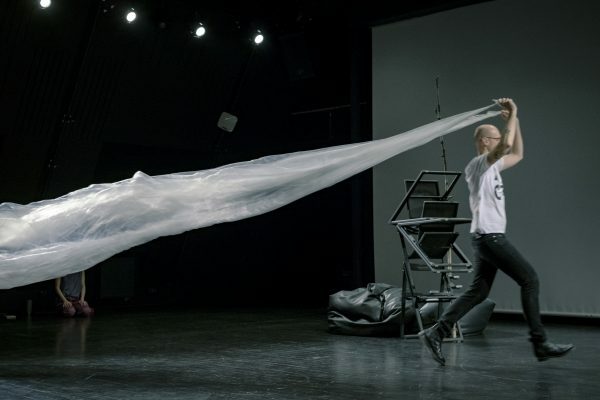 Since the middle of the 1990s Peter Pleyer has been pursuing a long dance history with the development of contemporary dance in Poland as a performer and teacher. During these years he could witness a change in the Polish contemporary dance scene from authoritarian structures of choreographing with traditional dance techniques to more egalitarian, democratic work-methods, in which the mode of creation of material and composition as well as questions about gender and the criticism of institutions revived the field of research and performing choreography. In Moving the mirror these changes are reflected in collaboration with a cast of Polish and Berlin-based artists. The purpose of this project is to develop an improvisation-based dance performance. It is supposed to invert the traditional order of preparing and presenting a piece. It begins with a performance which is followed by continuous shifts between studio work, reflection, feedback and public showings. It is a solo work filled with a constant exchange with the audience and collaborators from different fields: dance, visual arts and theatre. 40 public showings will take place in various spaces and are aimed at different numbers of spectators: from one to one hundred. A varying number of objects designed by Alicja Bielawska appear in the work in altering configurations. For Marysia Stokłosa — a choreographer and solo performer — showings act as a laboratory for the performance to emerge and transform. 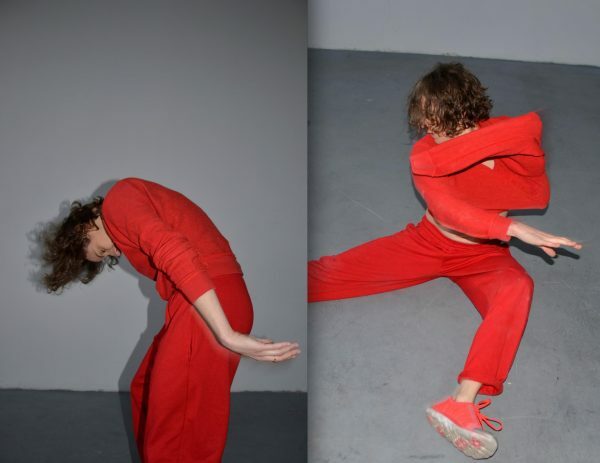 In 2015 Maria Stokłosa was invited by Meg Foley — a Philadelphia based choreographer — to take part in the development and performing of Action is Primary. This intense collaboration overseas inspired Marysia Stokłosa to take the practice of Meg Foley to her own environment and give it a new direction. Currently Meg and Marysia work separately continuing to develop their individual solo performances, regularly exchanging their findings online. Emerging from Action never reaches a final form. Its transformations are powered by an ongoing study of the elements: movement, image, objects, speech, emotion and relation with the spectator. The focus of the work spontaneously and intentionally shifts between these different areas, as so does the attention of the performer and the audience. A text-led bent narrative perverting the medieval writings on desire of Thomas Aquinas with the daily instant. 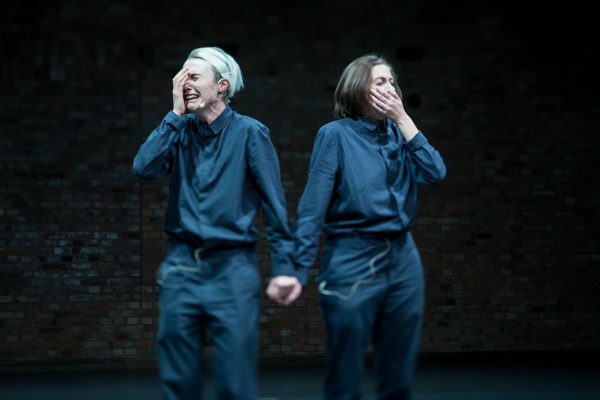 The duet embodies dynamics of the moshpit, as a way to question intimacy within a closed circuit of the institution. It is a choreography of support and emergence. Backup dancing is about bodies exercising their relation to the center, to one another and to choreography understood as a shared, spontaneous plan. This dance is made collectively out of many intersecting monologues, yet its principle is accompaniment. What does it mean to accompany when the center is missing? How do we practice companionship through dance or take care of another person’s dance? This work approaches improvisation as a strategy of resistance against the politics of command and hierarchies. Bodies moving in the background insist on dance’s ability to create formats of being and thinking which extend beyond the periphery. A production by Ania Nowak. Funded by the Senatsverwaltung für Kultur und Europa. Kindly supported by the Polish Institute Berlin and the Adam Mickiewicz Institute. Thanks to HZT Berlin. The first version of the piece was produced by Art Stations Foundation by Grażyna Kulczyk in the frame of Solo Projekt Plus 2016. Since even in the mythical East contemporary dance is Western for some time now, it may seem that nationality is just an abbreviation that dance professionals put in brackets right after their names. But is it only that? The panel discussion on the last day of UN/POLISHED 2will be dedicated to considering the ways in which the notion of ‘national’ can shape inter/national dance scene(s). If we assume that one can talk about the center and peripheries in today’ international contemporary dance context, then what is the geography of these places? How does the first- and second-hand knowledge circulate within them? Is that what is happening on the outskirts of the prominent European dance capitals of interest or is the transmission of concepts and discourses only unilateral? What is the connection between dance and the construction of national identity? How can the nationality of dance be itself negotiated? And can a national scene emerge as something appealing to the art market? Imagine the near future of two entities, artificial emotionalities — Fembot A.E. and Omnipresence — that proclaim their own state of matter. They are made of steel … Mothers of Steel. Altering historical facts with future narratives, they travel back and forth in time with the help of human genetics and impersonations from origins to ends, from wires to flesh, from data to memory, from face to interface. Mourning emotional identification with their long gone countries Poland and Romania, they claim a state of their own. A state where territories and female powers are boundless. This project is an investigation into the phenomenology of tears that touches upon many themes — memory, history, death, happiness, fragility, innocence, strength, futuristic ontologies, etc. It puts into questions the social and cultural mechanisms related to public and private display of emotions. Contrasting personal statements with iconic scenes of crying in Eastern European context, it examines how emotions are manifested in different situations, and why we do (or do not) express them publicly. Within narratives concerning our biopolitics — cultural/national/emotional identities — the project approaches today’s post-bodies/technological paradigms and is an attempt at entangling the personal with the artificial.